Today is my final project for QKR Stampede Challenge blog. I've been on the team for a year now, and it's time for a break. However, I will miss the delightfully quirky images and the wonderful bunch of ladies I've grown to enjoy so much! This week's challenge this is 'Washi tape'. Love the stuff! This super fun image, from QKR Stampede, of course, is "Walking the Dog"(digi17102). The sentiment, also from QKR Stampede, is "Dog's Life"(digi14619). I colored 'Walking the Dog' with Copic markers. I've had the Washi tape for so long, I don't remember the brand name. The Dog designer paper is digital, and is from Pixel Scrapper. Come join us this week at QKR Stampede. 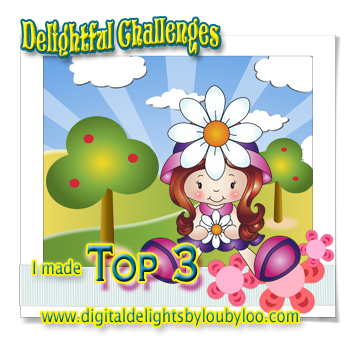 Use a bit of your Washi tape, and enter it in the challenge! I have 2 winners to tell you about today. I recently participated in the Digis for Debbie blog hop to raise funds to help a sister in need pay for medical expenses. I said I'd reward a $15 gift certificate to the Fresh Brewed Designs Store, and today is the day to pick the winner. I also promised blog candy when my original blog was hacked and I had to start a new one. I said I'd give it away when I got to 50 followers. Well, I have 46 followers on the new blog, but now I'm back to my original blog, but still want to award the candy. So, 2 lucky winners today! 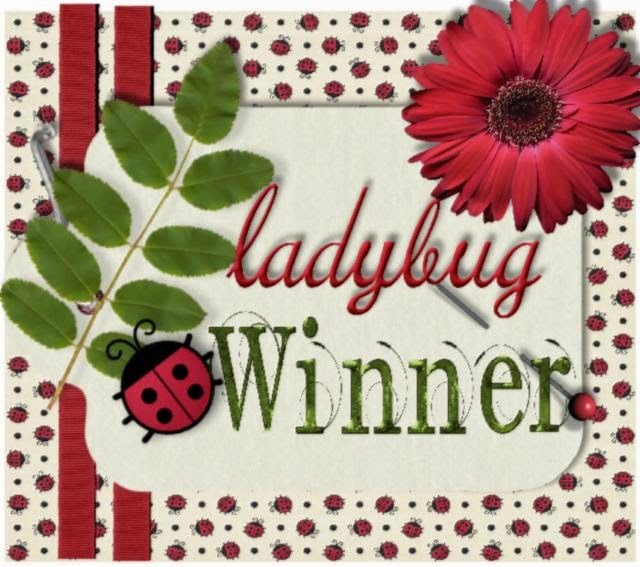 $15 FBD Gift certificate (chosen by Random.org) -- Rhonda Zmikly of Bumblebee Creations! 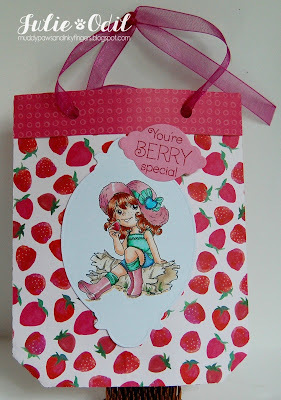 Blog candy (6x6 paper pad, Close To My Heart stamp set, Unity Stamp Company grab bag, embossing folder, 3 Girl JAM ribbon, Timeless Twine, and MORE!) WINNER (again, chosen by random.org from the 46 followers of my new blog) -- Chriss America Real! I'm posting today for 3 Girl JAM. It seems that I can always find another use for 3 Girl JAM products. The possibilities are truly endless! Today, my favorite ribbon is mimicking a rusty canning lid. Summer and fireflies go hand-in-hand for me. Seeing fireflies makes me happy! When I was young, my grandma wouldn't let us go barefoot until we had seen a firefly, so we looked diligently for them. She knew they didn't come out until the hot summer nights. Then, we'd run around with youthful abandon and try to catch them in a jar. They were magical! (Until morning, anyway, when they were just another flying insect). This card is a cutting file from the Silhouette Design Store. The tag is a die from Paper Wishes. The sentiment is a Joy's Life "Pun in the Sun" stamp. Best of all, though, is that new crinkle ribbon from 3 Girl JAM! This is Barn Door from the *new* Rustic Country Bundle. There's only a day left to get another new bundle at a discount. The Summer Harvest Bundle is only $1 if you use coupon code JULY, along with your purchase. Or, purchase anything you like, use coupon code JO10, and save 10% on everything! All the time! 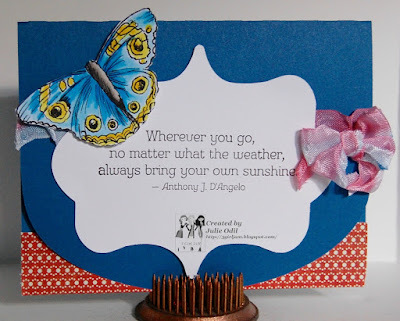 It's time for a new challenge over at the Crafty Sentiments Designs Challenge Blog. For the next 2 weeks, the theme is "Baby". 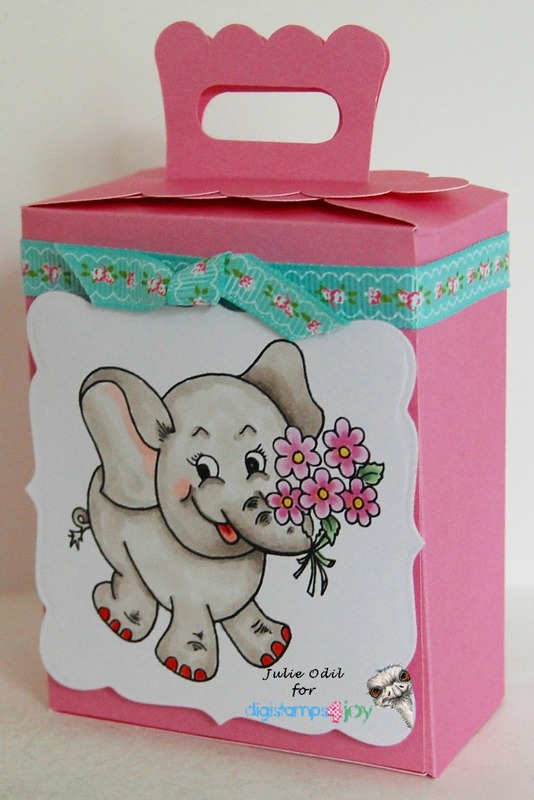 We all need baby cards at some point, so it's a good chance to get ahead in the card-making! 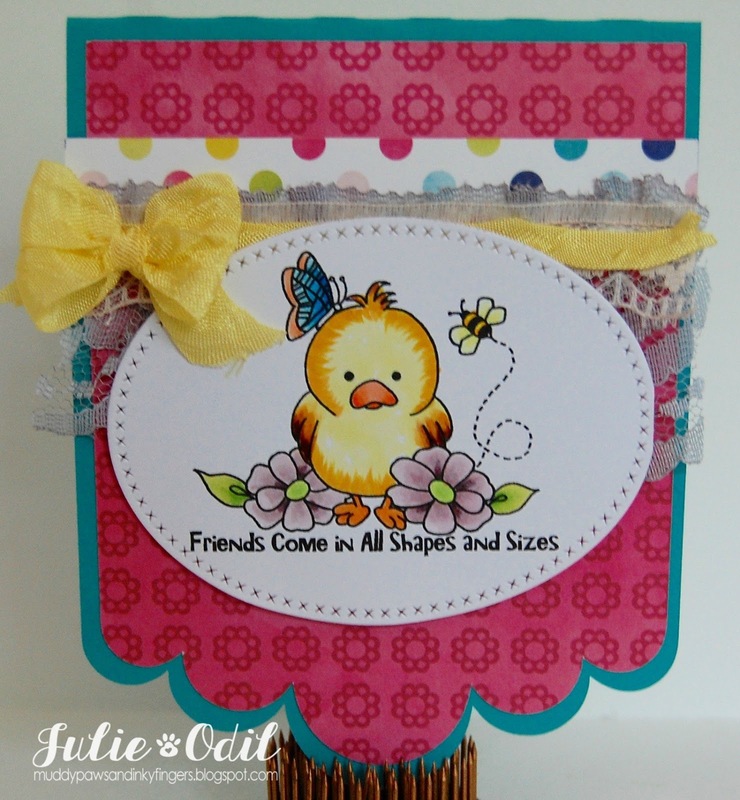 I used Crafty Sentiments Designs rubber stamp, "Lucy & Tiddles" on this card. I colored the stamped image with Copic markers. The sentiment is a stamp from Craftin' Desert Divas -- "Simply Said" set. The rocking card is a cutting file, found in the Silhouette Design Store. The card base is from Close To My heart. The designer papers are from Echo Park. The tie dye crinkle ribbon is 3 Girl JAM. 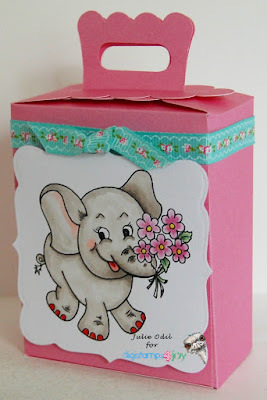 Please join us at Crafty Sentiments Challenge blog for our Baby challenge. We have great prizes, and I'd so love to see what you create! There's another New Release today at The East Wind. I probably say this every time, but I just LOVE today's digi! She's just so. much. FUN! This image is called, 'Double Eyelashes'. She was, of course, a delight to color! I colored 'Double Eyelashes' with Copic markers and Faber-Castell Polychromos pencils, then fussy cut the image. 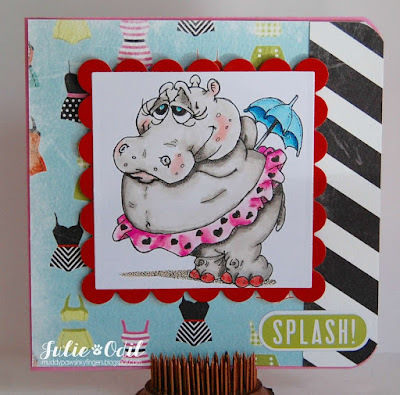 I placed her on a center step card by Stephanie Bernhard/Sizzix. The papers are from Simple Stories. the baker's twine is Timeless Twine. The sentiment is from Close To My Heart. Visit The East Wind's Facebook group to see what other design team member's have done with this FUN image! This week, for the QKR Stampede challenge, we're going swimming. Some, more than others, like to make a statement in their bathing suits. This "little" cutie by QKR Stampede would make a statement on ANY beach, I think! Maybe it's those painted red toenails, but I certainly think you'd see this beauty coming. She'd make quite a splash, don't you think? Can you say "cannonball"? This sweet image is QKR Stampede digi, Hippo (digi602). I colored the little darling with Copic markers. Designer papers are from Echo Park, as is the sentiment. Join us this week at QKR Stampede with your version of "Swimming". I'd love to see what you make! 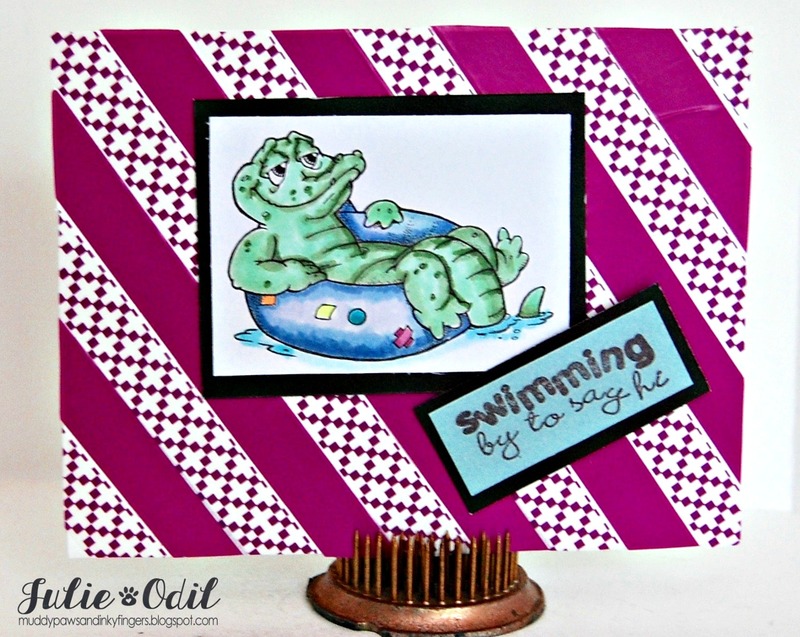 This rubber stamp is big, and fun to color! I colored Josh in his Boat with Copic markers, then used a Banner Die cut Set from Craftin' Desert Divas to construct the rest of the card. The papers are from Authentique. They have a definite nautical flair to them. The compass charm is from Tim Holtz. The sentiment is from Joy's Life Pun in the Sun. 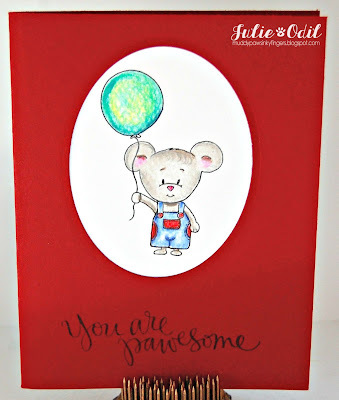 Check out the Crafty Sentiments Inspirations blog this week to see all the New Releases. They are so delightful! I can't wait to get my hands on ALL of them! 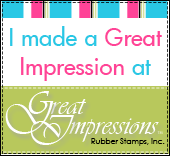 The rubber stamps will be available in the Crafty Sentiments Designs Store on August 23. It's getting to the end of strawberry season where I live. Darn! It's one of my favorite seasons of the year. In honor of the sweet berries, I made these projects, from Snapdragon Snippets. This is the Hearts Mini Handle Favor Basket from the Snapdragon Snippets Store. It's available here in the Silhouette Design Store. I modified the design slightly, adding the Heart Strawberry design instead of the original heart. 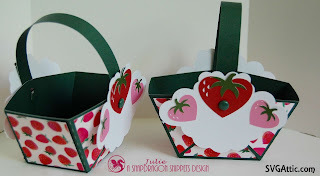 I made two of these berry baskets, for two good friends, filling them with my second most favorite treat -- chocolate! Papers and stamps for these projects are all from Close To My Heart. Check out the Snapdragon Snippets blog for lots of great inspiration from this talented team! 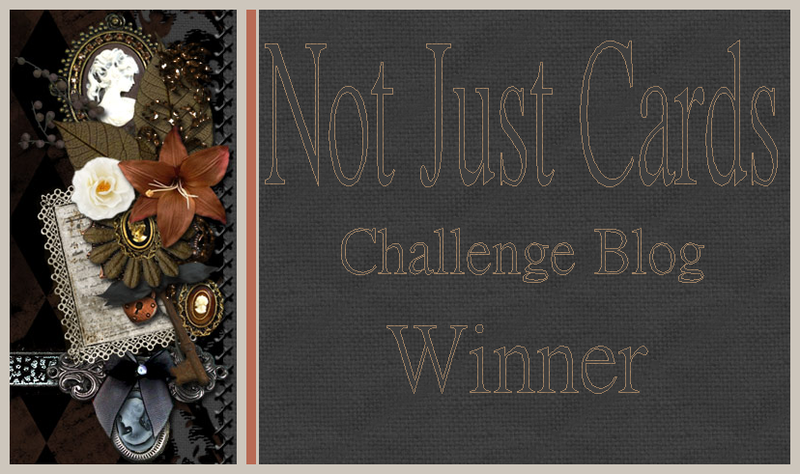 I'm posting today for the Inspiration Destination Challenge Blog (IDCB). One of our sponsors this week is a favorite of mine -- Eureka Stamps. I was on their design team for a year, and I enjoy their images and sentiments very much. I had fun working with these two! 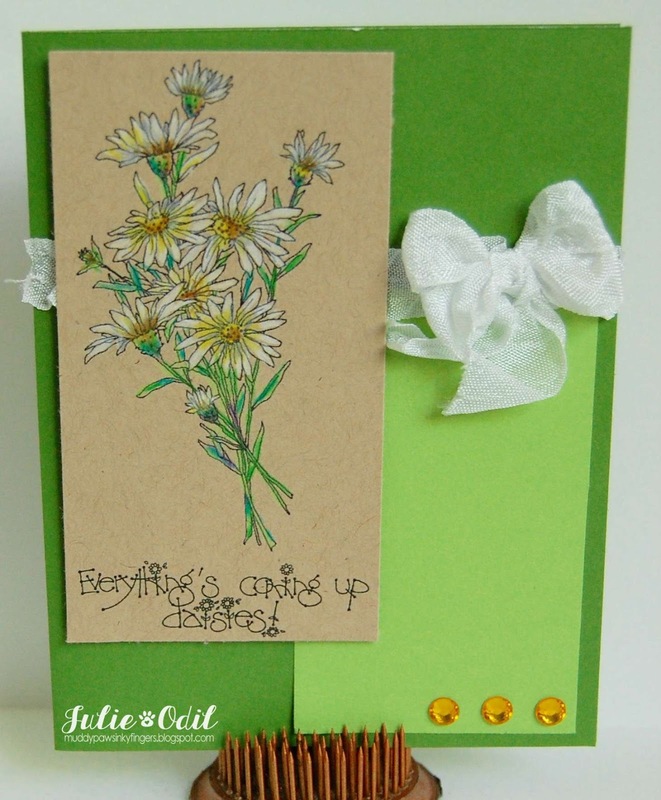 I used Daisy Bouquet (digi9201)and Coming up Daisies (digi14504). I colored Daisy Bouquet using Faber-Castell Polychromos pencils on Kraft paper. The card stock is from Close To My Heart. The crinkle ribbon is 3 Girl JAM. The bling is from my stash. 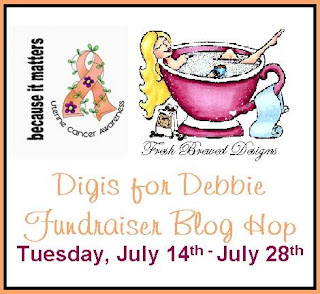 Join us this week at IDCB, where it's always anything goes! There are new releases today at Crafty Sentiments Designs. I always get excited for new releases! The images are so much fun to work with. I'm never sure what I'll get, but they are always a delight! Today is no exception! How's that for fun? Doesn't Josh - Underwater look like he's having a great time? I love that happy expression on his face! He was so much FUN to color, with that mask on (good practice for 'opaque'). The fun porthole card shape is a cutting file from Pretty Paper, Pretty Ribbons. 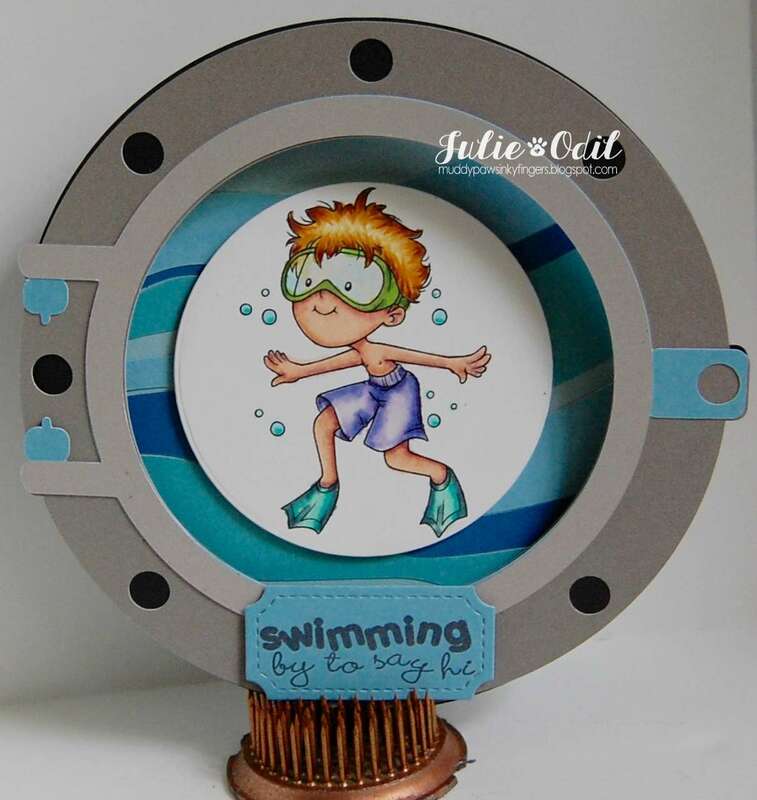 I thought it was a great fit for my "Josh-Underwater" rubber stamp. The sentiment is from Joy's Life. 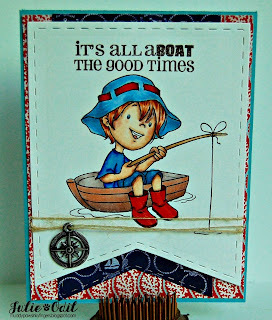 The new releases started yesterday on the Crafty Sentiments Inspirations blog. There is another new release today, plus new releases the next few days, so check the Crafty Sentiments Inspiration blog to see them all, plus the wonderful creations with them from the design team. All the new release rubber stamps will be available for purchase on August 23. It's time for some midway inspiration at the Path of Positivity Challenge blog, where our theme this month is 'Sharing'. I am sharing a birthday card I made for a special friend using a digi from one of our wonderful sponsors, Limited Runs. This Limited Runs image, Mouse & Big Cupcake, was colored with Copic markers. I used a Spellbinders die to cut it out. 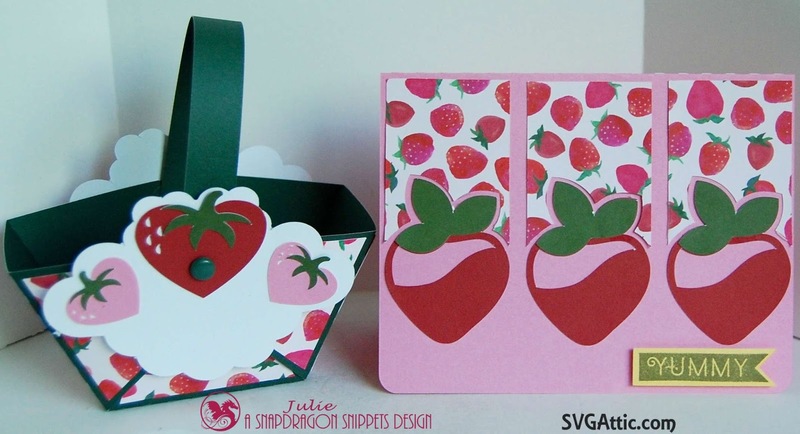 The cupcake-shaped card is a cutting file from The Cutting Cafe. The sentiment is computer-generated. The sequins are from Close To My Heart. I used a scoreboard to make the paper look like a cupcake wrapper. Sharing birthday wishes with special people -- I think that's a perfect way to spread joy! 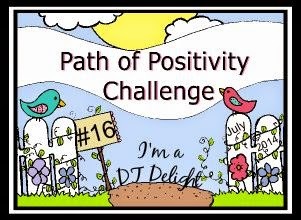 I hope you'll join us at the Path of Positivity Challenge blog. You could win a gift certificate from our wonderful sponsor -- Limited Runs. This image, appropriately enough, is called "Mouse with Balloon" by Gerda Steiner. The sentiment is from Simon Says Stamp. I used Faber-Castell Polychromos pencils to color the mouse image. Off to make supper, and enter this in the 72-hour challenge. Fun, fun! I made this for a dear friend, who's birthday was yesterday. I'm hoping to see her tomorrow, and deliver it in person. 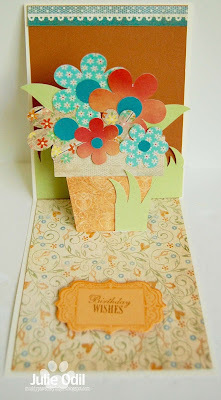 This is, of course, the Flower Pot Pop Up Card cutting file. I used papers from Close To My Heart and Simple Stories. The tag is a die from Paper Wishes. It has a matching stamp set that I used. This card was much less intimidating than I thought it would be. I plan to make many more now that I've mastered this one. Try them, they are really fun! 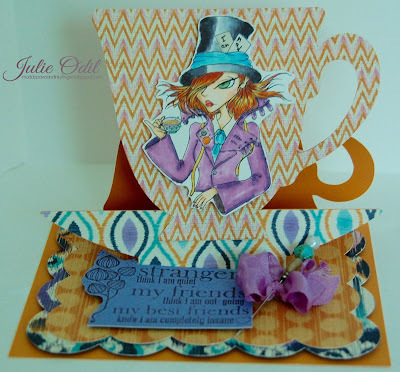 Visit the Cutting Cafe blog on July 21 to see what wonderful creations the rest of the talented design team made. You won't be disappointed! Leave a comment on the blog and you might even win 3 sets of your choosing. 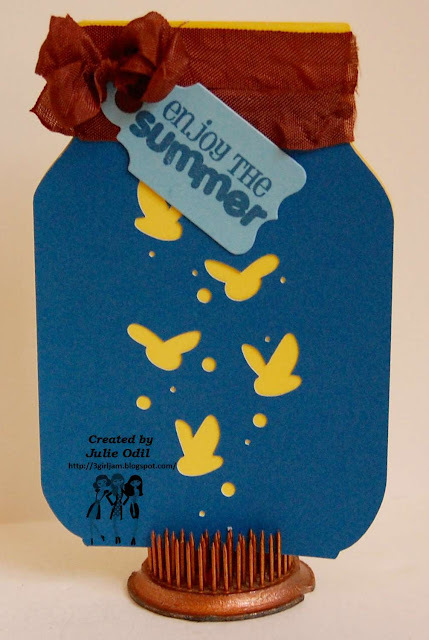 I have a short tutorial on the Crafty Sentiments Inspirations blog today, showcasing an absolutely delightful Summertime rubber stamp from Crafty Sentiments Designs. Strawberry season is just wrapping up here where I live. Few things bring as much excitement as when the berries ripen. We're all busy picking, cleaning, canning, jamming, and in my case, creating strawberry related projects. 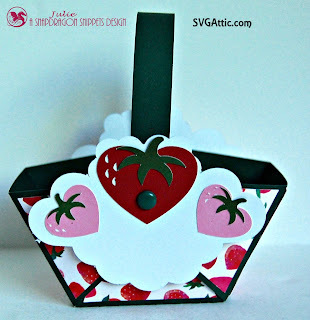 I'll show you how I created this treat bag with a few easy scores and folds. Cut a piece of 10 1/2 by 7 1/2 INCH card stock. I used double-sided on this, to get the decorative rim to the bag. turn the card stock 180 degrees. Fold one of the edges inward. This will be the bottom. Fold one outward. This will be the top, and the decorative rim. I scored triangles in the bottom at .5 increments, but this isn't necessary (it just makes it look a bit "fancier"). Punch holes at the top at 1.5, 4, 6.25, and 8.5 inches. Fold on score lines. Use a strong adhesive or glue on the bottom of the bag to hold it together, and where it overlaps. Add your favorite ribbon for a handle. 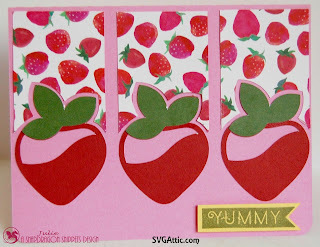 The image I used on the front of the bag is Crafty Sentiments Designs rubber stamp, Eating Strawberries. She was colored with Copic markers. I used 2 different dies from a Paper Wishes tag set to cut out the Eating Strawberries rubber stamp and sentiment. 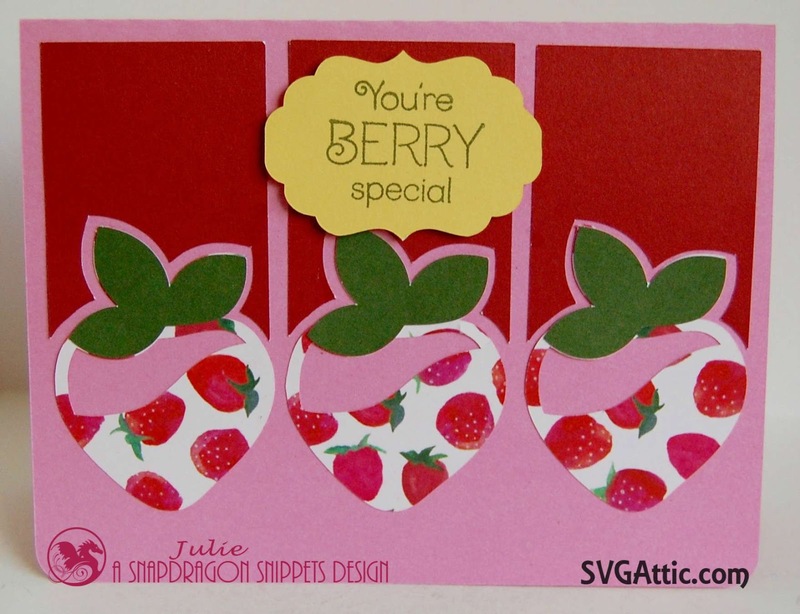 The "Berry Special" sentiment is a stamp from Close To My Heart. I hope you give this simple gift bag idea a try! It's Friday, which means there's a New Release at The East Wind today. This one is really special. Do you love to color with your markers or pencils? Are skin and hair your favorites to color? You're in for a treat! Today's new release is Aurora 'Scarf Lover'. I colored Aurora 'Scarf Lover' with Copic markers, then fussy cut her. She is mounted on a journal card from Echo Park. I used a Close To My Heart border punch, and a tag from the same Echo Park collection. There's a bit of Timeless Twine on this card, too. Check out what other design team members did with this new release in The East Wind Facebook group today, and please follow me on Instagram. I used QKR Stampede digi "Picking Flowers"(digi11401) on this card. The sentiment is my own, and is computer generated. I also believe it very strongly. We have to make our own sunshine, and spread it each and every day. I colored the Picking Flowers image with Copic markers and fussy cut her. The sun background was cut out on my Silhouette Cameo. The papers and sequins are from Close To My Heart. 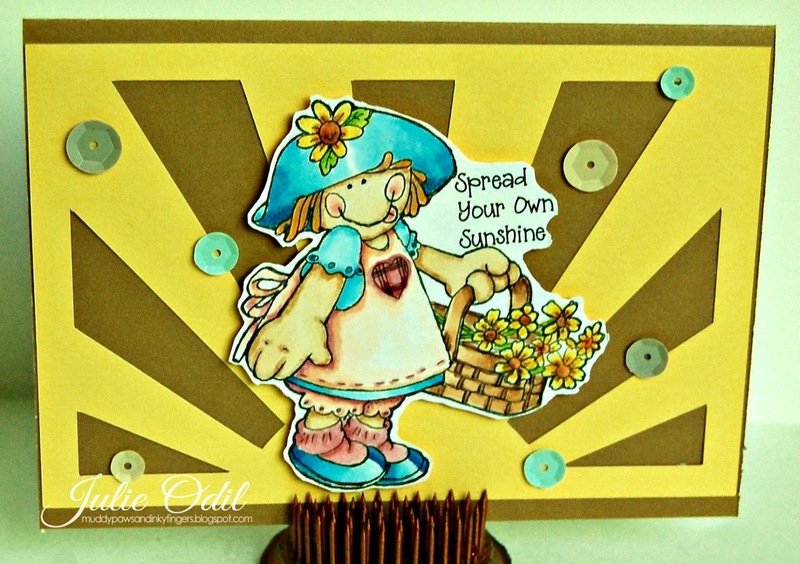 Join us this week at QKR Stampede for our 'You are my Sunshine' challenge. I'd love to see what you make! Woohoo! 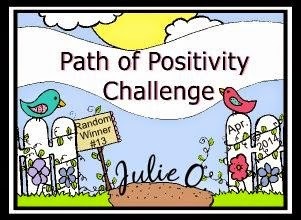 I recently won a challenge at Art by Miran, and was asked if I wanted to guest design for their Facebook Challenge that starts today. If? Of course!! Who wouldn't?!? I LOVE Art by Miran images, so I jumped up and down with excitement, then jumped at the chance. This Art By Miran image is Punkette Peta. I thought her style was irresistible. I colored her with Copic markers. 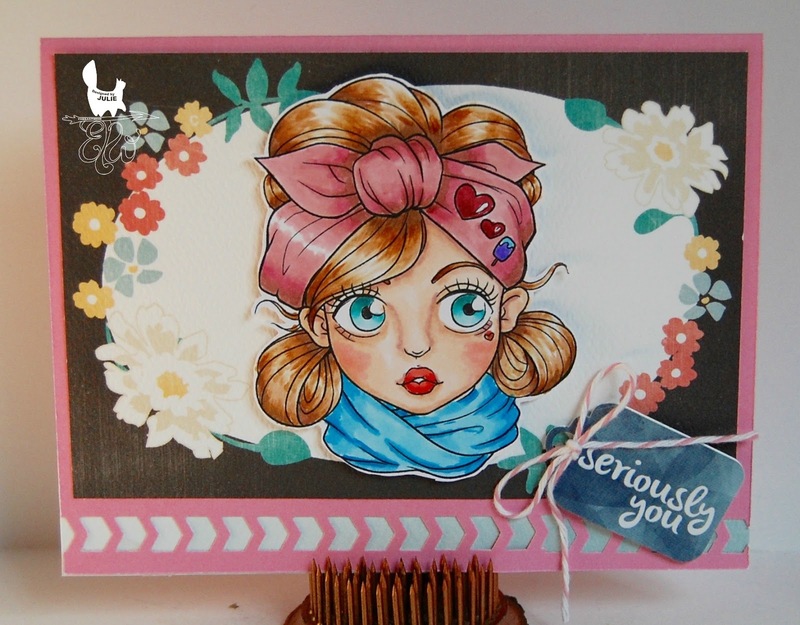 The sentiment is from a Close To My Heart stamp set. It seemed to fit Punkette Peta's style quite well! The background paper for the tag is from Cosmos Cricket. The tag dies are from Paper Wishes. The feathers are from my stash, and the crinkle ribbon is 3 Girl JAM. I want to thank Vannessa Hasty from the Art by Miran Facebook team for arranging this guest design spot for me today. 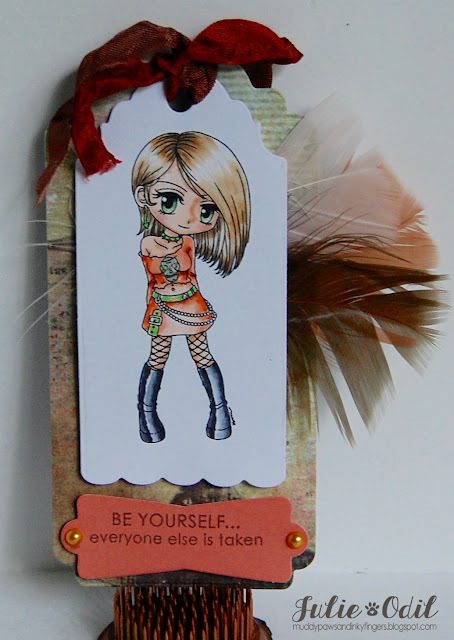 I had a blast making this tag! Masculine cards. They can be such a struggle. But the Jute Ribbon and String from 3 Girl JAM definitely makes them easier! I got this image from participating in the Outlawz Progressive Challenge. The digi is drawn by Jen Leeflang. I thought he'd be fun to put on a card large enough for a business sized envelope. I colored him with Copic markers, then fussy cut him out. The card base was cut out on my Cricut. The Kraft paper is from My Mind's Eye. The Jute ribbon running down the length of the card is, of course, 3 Girl JAM. The Vintage Button and Jute string are also from 3 Girl JAM. To get 10% off of your entire order from 3 Girl JAM, use discount code JO10. To get this month's featured ribbon for $1, with the purchase of any other item, use code Summer Harvest as check out. Don't forget about the Anything Goes with Ribbon Challenge! You'll find it HERE. I colored "Putting Up the Tree" with Copic markers, then added some Icicle Stickles to the snowy branches on the tree. I used a cutting die set from Craftin' Desert Divas on this card. The tree paper in the corner, and Santa and his sleigh are both designed by Lisa Decosse, of Decosse's Dynamite Doodles. Our theme this month at the 12 Months of Christmas Link Up is "it's ornamental". Use an ornament somewhere on your project to qualify for the prize from our sponsor, Robyn's Fetish. 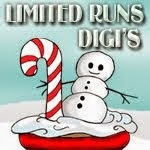 Link up any two Christmas cards this month to qualify for the Christmas papers from Decosse's Dynamite Doodles. Come join the fun! 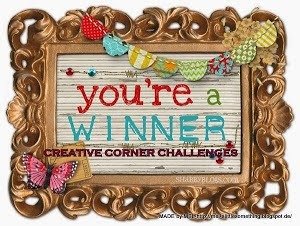 It's Tuesday, and time for a new challenge at Crafty Sentiments Challenge blog. This week, our theme is "country". I decided to go more "country & western" with my paper choices. 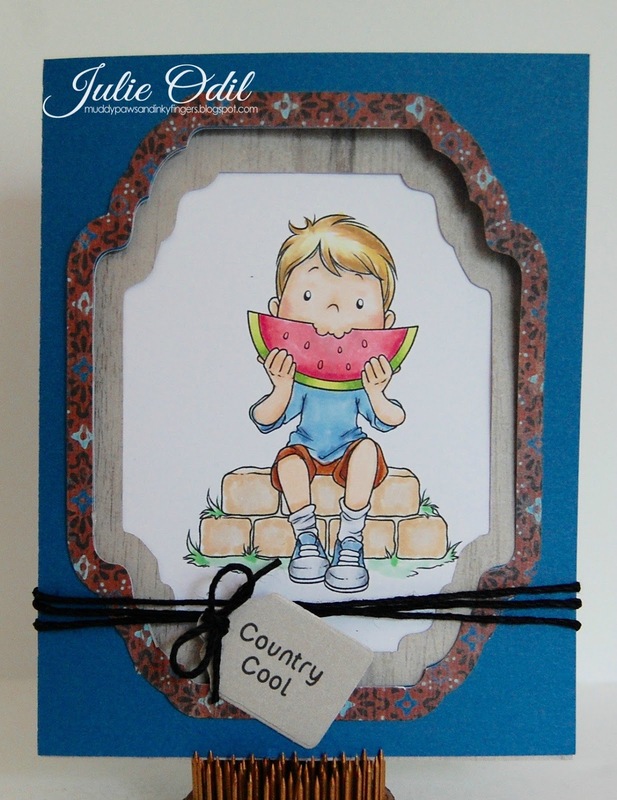 This Crafty Sentiments Designs rubber stamp is called Josh - watermelon. It's a perfect stamp for summer! I colored the stamped image with Copic markers. The card design was cut out with my Silhouette Cameo. I found the cutting file HERE in the Silhouette Design Store. The sentiment is computer generated. All papers and twine are from Close To My Heart. The tag die is from Paper Wishes. 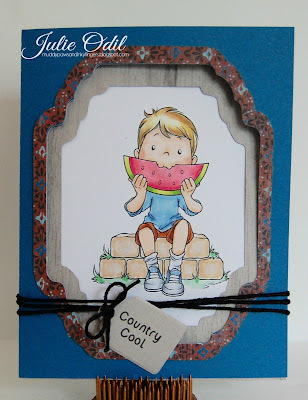 Join us this week at Crafty Sentiments for our Country challenge. I'd love to see your interpretation of "country"! 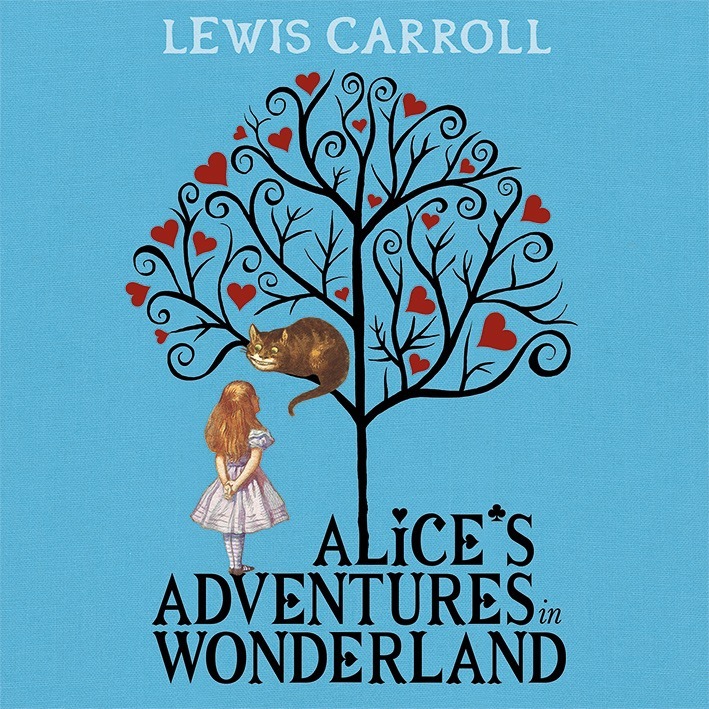 Today we are celebrating the 150th Anniversary of Alice in Wonderland, and what better way to do that, than to share lots of creative projects inspired by this wonderful story. Prize winners will be selected from Random blogs throughout the hop using Random.org to select each winner. 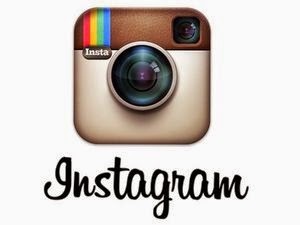 In order to be eligible for a prize you must visit all stops on the hop and leave a comment. The prize draws will be open until July 18th, with winners announced on July 20th. 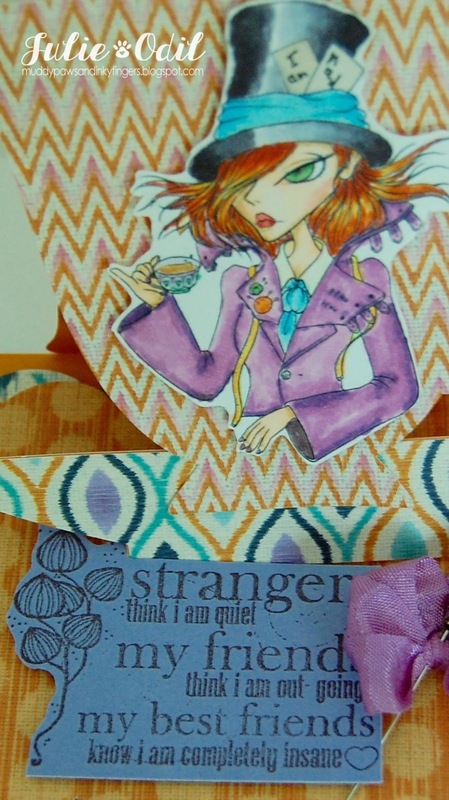 I thought long and hard about my favorite Alice in Wonderland character and kept coming back to the Mad Hatter. The older I get, the more I can relate! This image is from The East Wind. The image is Lucy Loo 'Mad Hatter'. I colored her with Copic markers and fussy cut her. Here's a close up of the image and the sentiment. The sentiment is from Unity Stamp Company. 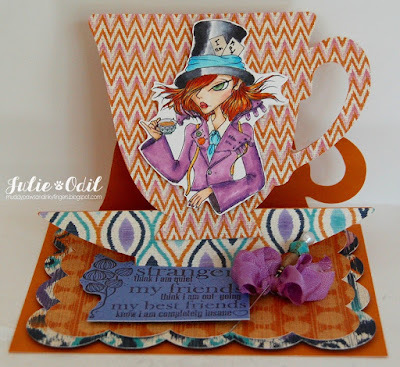 It seemed very appropriate for The Mad Hatter! The teacup-shaped easel card is a cutting file that I found in the Silhouette Design Store. The papers are retired from Close To My Heart. The crinkle ribbon is my favorite -- 3 Girl JAM! No Mad Hatter card would be complete without a hat pin. This one is from Pinque Peacock. 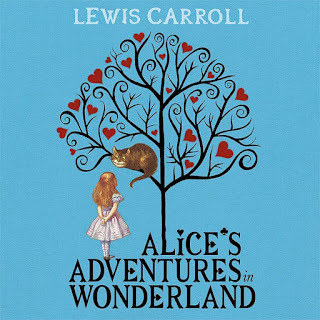 I hope you are enjoying this Alice in Wonderland hop as much as I am! Off you go to Katie's blog! Don't get lost in all this mad talent! I used QKR Stampede digi, Floating Gator (digi5602) on this card. I colored Floating Gator with Copic markers. The background was created using washi tape. The sentiment is computer generated. 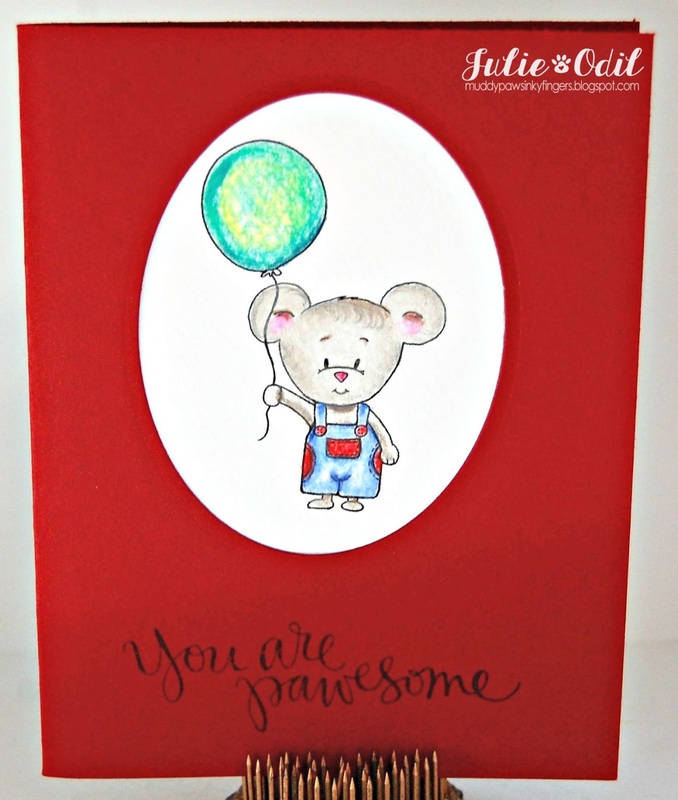 A simple card, perfect for a child, or a child at heart! Please join us this week at QKR Stampede for our "For a Child" Challenge. I'm posting today for 3 Girl JAM, my favorite ribbon company, and also for Morgan's Art World (formerly Fitztown). There's a new challenge starting at Morgan's Art World, with an optional theme of Red, White, and Blue. 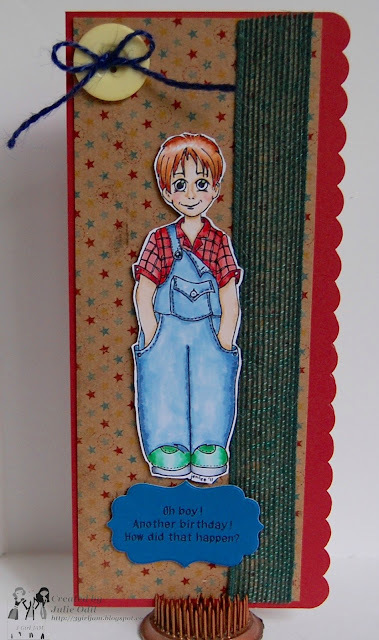 Since it's so near Independence Day here in the U.S.A., I wanted a patriotic feel to my card. The butterfly is a digi image , Garden 17. Morgan Fitzsimons' digis can be found in the Fae Entertainment Store. I colored the digi with Copic markers, and fussy cut it. The sentiment is from Close To My Heart. I found the card kit in the Silhouette Online Store here. The designer paper is from Basic Grey. Card stock is CTMH. The pretty crinkle ribbon? The stuff that ties the whole card together? That's 3 Girl JAM, of course! It's from the Red, White, and Blue Bundle. You can use discount code JO10 to get 10% off of anything you order from the 3 Girl JAM Store. 10%! That's huge! Or, use code JULY to receive the new Summer Harvest bundle for just $1 with the purchase of any other item from the store. Enter Morgan's Art World's challenge -- it's Anything Goes, with an optional Red, White, and Blue twist. Enter 3 Girl JAM's Anything Goes with ribbon challenge! Fun, fun, fun!!!! 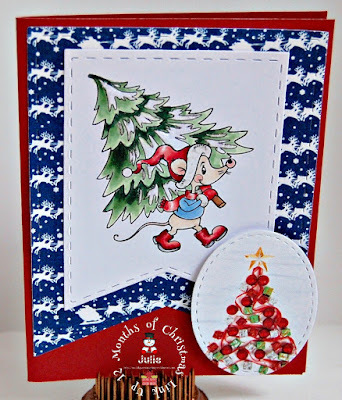 It's July 1st, a new month, and a new theme at The 12 Months of Christmas Link Up. We're having a DT call. This is a great team to be on. What better way to keep up with Christmas cards than to have them assigned each month as part of a design team? We also get great images to work with, and fantastic digital papers! It's a win-win-win situation! Check out the DT Call details here. Our theme this month is "Ornaments". Many of us have the tradition of exchanging ornaments at Christmas, so why not incorporate them in a Christmas card? The image on this card is from Robyn's Fetish, the sponsor this month at 12 Months of Christmas Link Up. 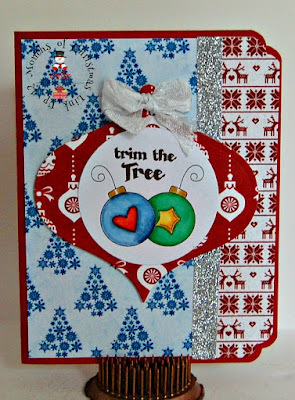 I colored the "Christmas Ornaments" image with Copic markers, then stamped a sentiment from Joy's Life Stamps. 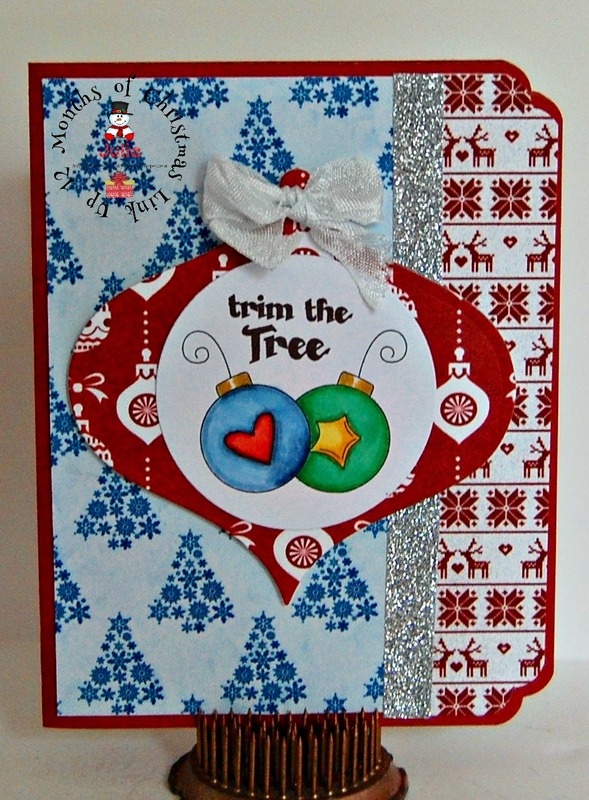 I used a couple Spellbinders dies on this -- a circle die and an ornament shaped die. 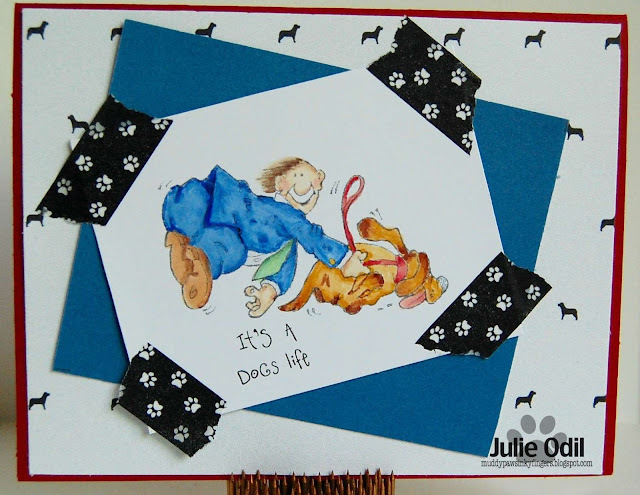 Designer papers on this card are all digital, and were designed by Lisa Decosse, of Decosse's Dynamite Doodles. The papers are from the 12 Days of Christmas Set -- Baubles, Sweater, and Flake Trees. The Silver Shimmer Trim is from Close To My Heart. The Dress White crinkle ribbon is from 3 Girl JAM -- the Navy Bundle. Join us this month at The 12 Months of Christmas Link Up. You can link up any Christmas cards you like. To be eligible for the prizes, you need to follow the ornament theme. 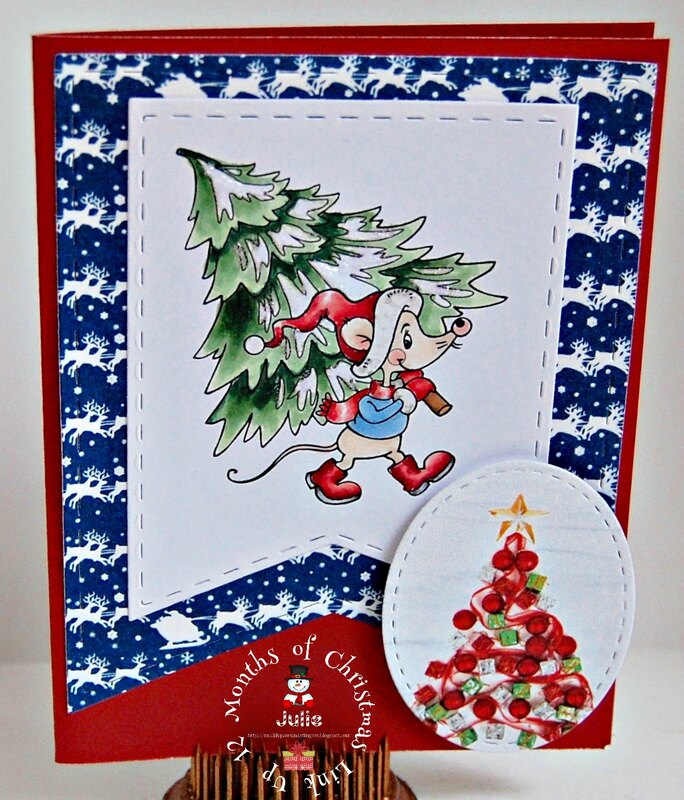 Link up 2 Christmas cards each month to be eligible for the monthly digital paper. Get busy! Christmas is coming! It's July 1st, so that means it's time for a new challenge at DigiStamps4Joy. This month's theme is always a favorite -- Anything Goes! This is DigiStamps4Joy image, Ellie's Flowers. I colored Ellie with Copic markers, then used a Spellbinders die to cut her out. The box was cut out on my Cricut Explore, using the Close To My Heart Cricut Art Philosophy Cartridge. The flowered ribbon is from Really Reasonable Ribbon. Join us this month at DigiStamps4Joy for our Anything Goes Challenge. You have all month!